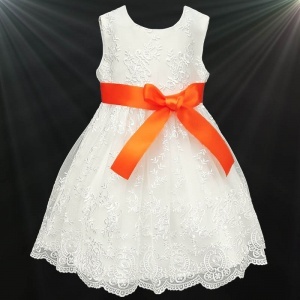 Luxurious girls ivory floral lace dress with an orange satin sash suitable for baby through to junior girl, perfect for a flower girl at a wedding or special occasion. Dress: This stunning ivory dress has a full overlay of floral lace set on organza. 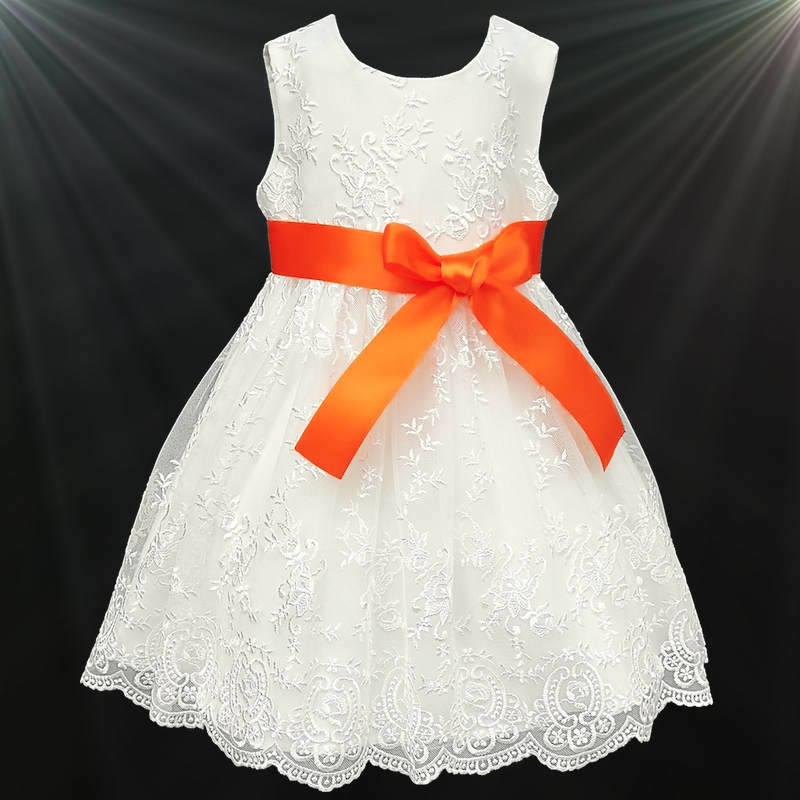 A large satin removable orange coloured sash is to waist so you can place the bow at the front, back or to the side. Sleeveless with a discreet zip fastening. Net underlay to create fullness with lining complete this elegant design.